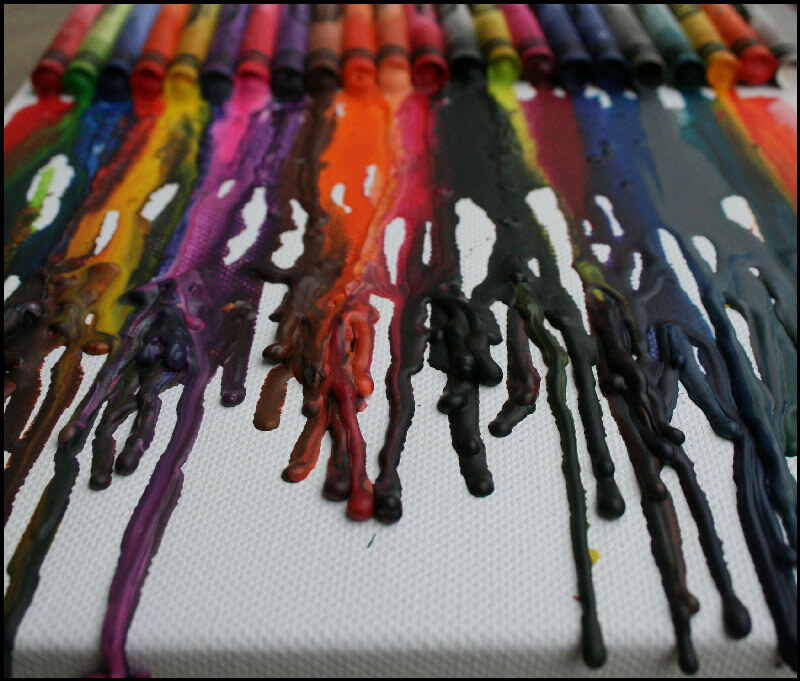 It all started by coming across this wonderful blog (Craft Knife) and this wonderful post on melting crayons by Julie Finn. I've seen encaustic & melted crayon techniques before, but for some reason this time I could think of nothing else. That afternoon, I bought the kids two $.50 boxes of crayons. 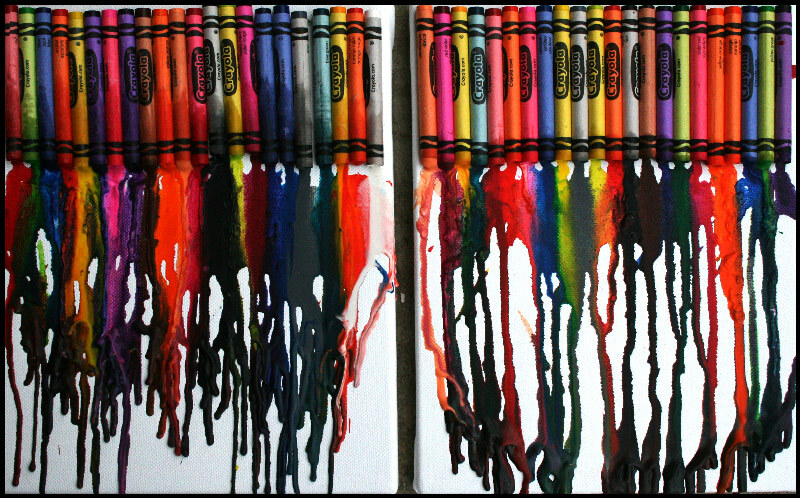 They chose what order they wanted to lay out their crayons; I chose what method to use to adhere them to the canvas. I brought out the heat gun, propped the canvas at ~75 degree angle, and we watched the magic begin. When finished, I was quite anxious to create my own. Already wanting to move on from the adhered-crayon routine, I decided to just start melting the crayons in an abstract pattern. Around 30 minutes later, my daughter brought out some play sand. She didn't get to play (it was bed time, not just mean mommy)....but I did. My final mixed media piece has a great deal of depth and texture in part because of her inspiration. Less than 48 hours after entering into my fascination with this technique, I find myself temporarily halted. 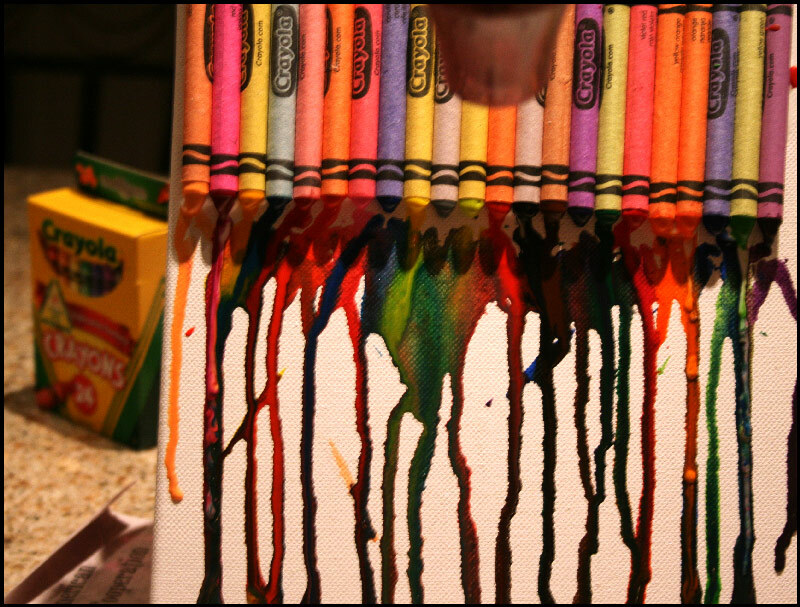 I don't want to spend oodles on what could be a passing fad, but I certainly need to stop melting crayons with the heat gun. So I breathe (in clean air) and run and do laundry and clean. When my interest is piqued, I pay attention. 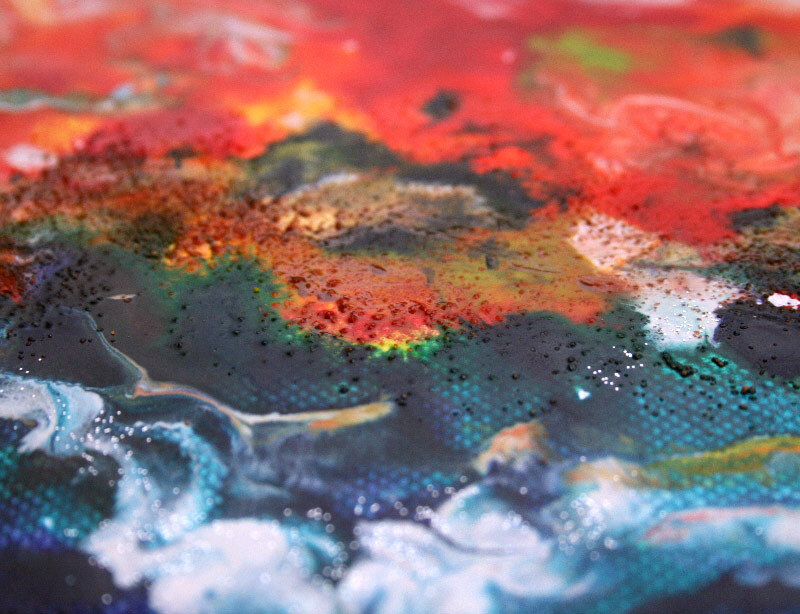 Perhaps encaustic is something I will incorporate in my art; perhaps it is a passing fad. 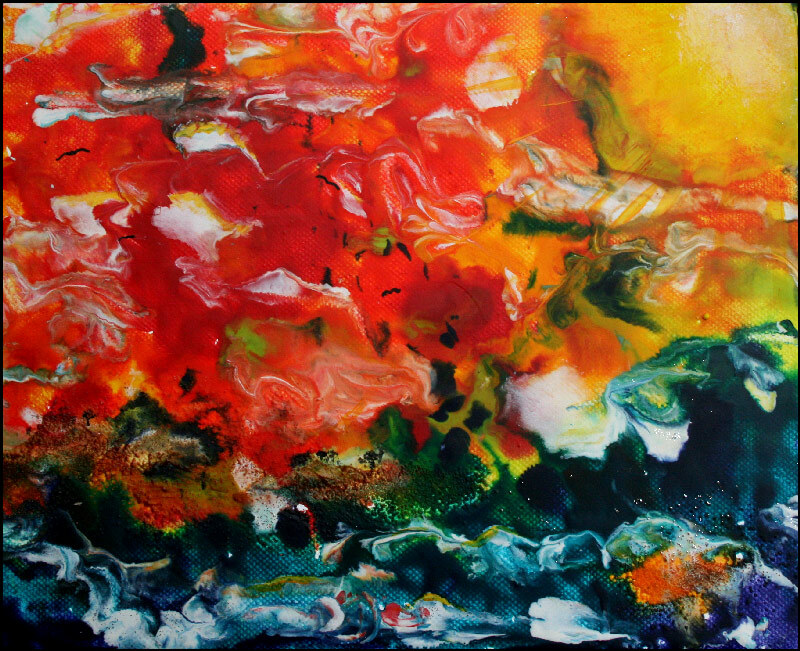 I know that I love the way the colors blend, the vibrancy of those colors, the textures, the sensuous movement of the wax, the uncertainty (and resulting surprises) of just where the wax will flow. The spirit knows what the spirit likes. I'm just here to experience it all.